Building good and consistent traffic on your website or on your social media portal is not that tough as it seems. 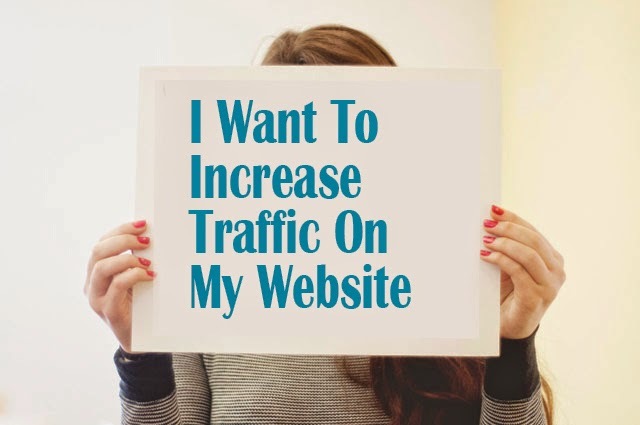 Here are the basic steps that you can take to increase traffic on your website. 1. Offer Quality Content On Your Site: These days people are fond of reading interesting articles and things that can be useful for them. Brain storm on what your target audience wants to know about the most. This can be any form of entertainment or solution to their problems. 2. Keep Updating Your Website: It has been noticed that people tend to visit those website which quenches their audiences every time they visit the site. Add fresh content every few days if possible; at a minimum, weekly. 3. Add Videos At Your Landing Page: Video and images capture our sense at much faster rate than text heavy article. So, why not using them to attract your audience. 4. Share Your Updates On Social Networking Sites: Channelise every bit of your update to various social networking sites like facebook, twitter, google+ etc. This will gain attention of the audience. 5. Search Engine Optimization: Create content using the keywords, which you think is used maximum number of times during any search, by a user. This is called search engine optimization and will help people find your website when they're searching the Web. Avoid over using your keywords as this will result in low search ranking. Google dislikes black hat tactics like SEO keyword stuffing because those methods focus on beating the search engine algorithm rather than a great user experience. So, use the keywords only on those places which syncs well with your content. 6. Submit All Of Your Pages To The Google Index - for free: By using Google Webmaster Tools to submit your URLs, you help Google's web crawler do a more complete and efficient job of crawling your site. Google Webmaster Tool shows traffic for each keyword separately; it gives more information about website performance according to Google search query. 7. Link Building: You can Set up a free blog related to your niche with supplementary content on Blogger, Livejournal, Typepad etc. and reference back to your main blog. You can also post helpful information in forums related to your niche and include your blog’s URL in your signature.